In 1836 Samuel Tegg opened a branch of his father's London bookshop in Hobart, at Wellington Bridge, the corner of Liverpool and Elizabeth Streets. In 1846 the Walch family bought the business. 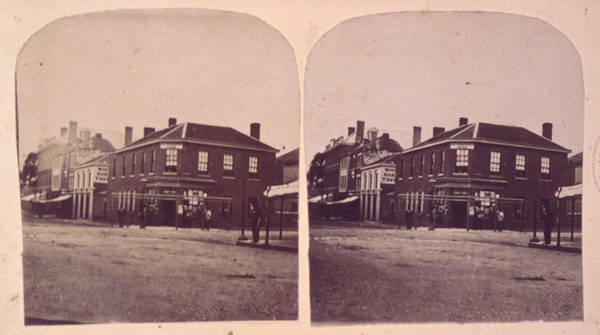 By 1876 growth warranted rebuilding this shop, erecting a new building in Macquarie Street and buying a store in Davey Street. Books, stationery, pianos and other musical instruments, sporting goods and paper were sold; the Company manufactured stationery items and published books, notably its annual Walch's Almanac (1863–1970) and Walch's Literary Intelligencer (1859–1916). It had a London office, and imported directly from the manufacturers. In 1900 a new printing department and manufactory were built. Although the Company, remaining in family hands, continued to prosper through most of the twentieth century, by 1990 it could not compete with large national enterprises. The printing department had already (1969) merged with the Mercury Press to form Mercury Walch, the stationery business was sold and the remainder went into voluntary liquidation in 2003.